The Food and Drug Administration, which oversees cellphone safety, disagreed with the upgraded warnings. 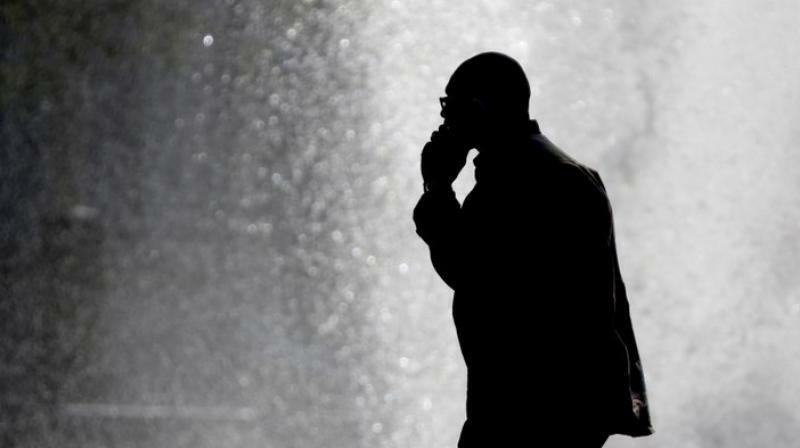 Two US government agencies are giving conflicting interpretations of a safety study on cell phone radiation: One says it causes cancer in rats. The other says there’s no reason for people to worry. No new research was issued Thursday. Instead, the National Toxicology Program dialled up its concerns about a link to heart and brain cancer from a study of male rats that were made public last winter. The Food and Drug Administration, which oversees cellphone safety, disagreed with the upgraded warning. And “these findings should not be applied to human cell phone usage,” said Dr Jeffrey Shuren, FDA’s chief of radiological health. What’s most important is what happens in humans, not rats, said Dr Otis Brawley, a chief medical officer of the American Cancer Society. In a USD 30 million study, scientists put rats and mice into special chambers and bombarded them with radiofrequency waves, like those emitted by older 2G and 3G phones, for nine hours a day for up to two years, most of their natural lives. Last February, the National Toxicology Program said there was a small increase in an unusual type of a heart tumour in male rats, but not in mice or female rats. The agency concluded there was “some evidence” of a link. Also, the February report cited “equivocal evidence” of brain tumours in the male rats. Thursday, the agency upgraded its description of those findings. The heart tumour increase marked “clear evidence” of cancer in male rats, it announced. There is “some evidence” of brain cancer. “We believe that the link between radiofrequency radiation and tumours in male rats is real, and the external experts agreed,” said John Bucher, the toxicology agency’s senior scientist. The FDA immediately disagreed, firing off a press release assuring Americans that “decades of research and hundreds of studies” has made the health agency confident that the current safety limits for cell phone radiation protect the public health. Plus, FDA pointed out confusing findings from the rodent study — such as that the radiated rats lived longer than comparison rats that weren’t exposed to the rays. The toxicology agency said it appeared that the radiofrequency energy helped older rats’ kidneys. There’s a reason two different government agencies are clashing — they’re asking different questions, said George Washington University public health professor George Gray. A former science chief for the Environmental Protection Agency, Gray said the toxicology program examined how cell phone radiation affected animals. By looking at what it means for humans, the FDA “brings in more sources of information and data than just these recent tests in rats and mice,” he said in an email. “I’m calling you from my cell phone,” noted the cancer society’s Brawley. He pointed out one well-known risk from cell phones: Car crashes when drivers are distracted by them. As for cancer, if people are concerned, they could use earphones or speakers, he said. Those who study risk aren’t hanging up.